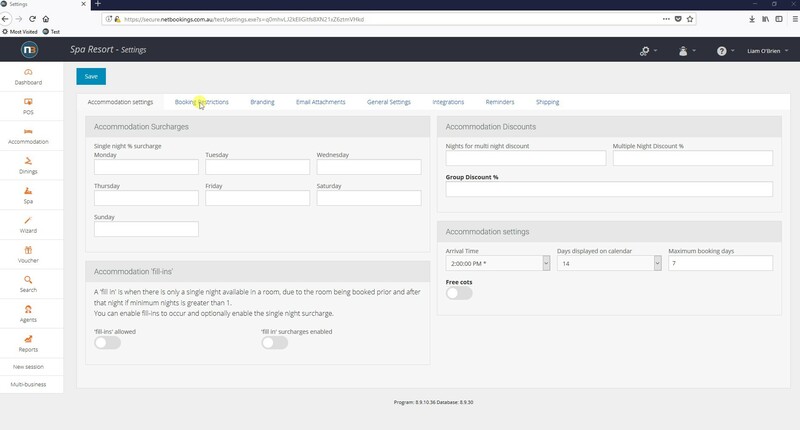 Netbookings provides options that allow you to place time restrictions on when guests and agents can make bookings. Here you may enter your time restrictionfor a booking for each module.The number you enter is the number of hours before the arrival time that the booking must be made. For example, if 48 is entered in the ‘Accommodation’ field, all accommodation bookings made online or by agents must be made at least 2 days ahead of the arrival date. There is also an option that allows staff to set a minimum number of hours that must pass before a gift voucher can be redeemed online. This option may be used in order to prevent fraud. ‘Tours (tagged pickups)’ allows you to restrict bookings where guests have selected particular pickup points. Read more here. 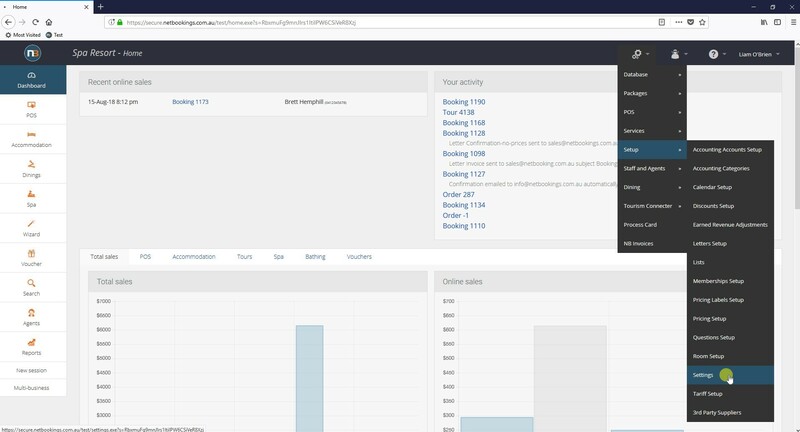 Note: Bookings may still be made by staff through the Netbookings back-end regardless of any time restrictions set here.